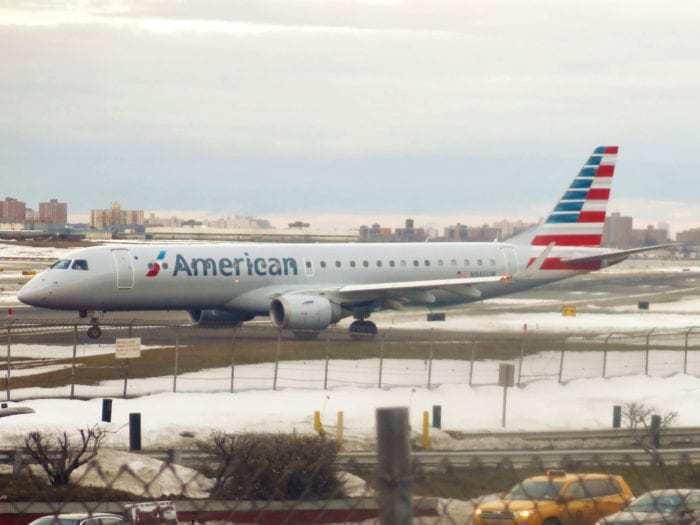 One of American Airlines’ E190 aircraft suffered a birdstrike after takeoff from Boston Logan International Airport. The flight, AA2163, was en route to New York’s LaGuardia Airport. The flight took off from Boston’s Logan International Airport at 10:08AM local time. 99 passengers and four crewmembers were onboard the aircraft. Soon after takeoff, the aircraft encountered a flock of geese. 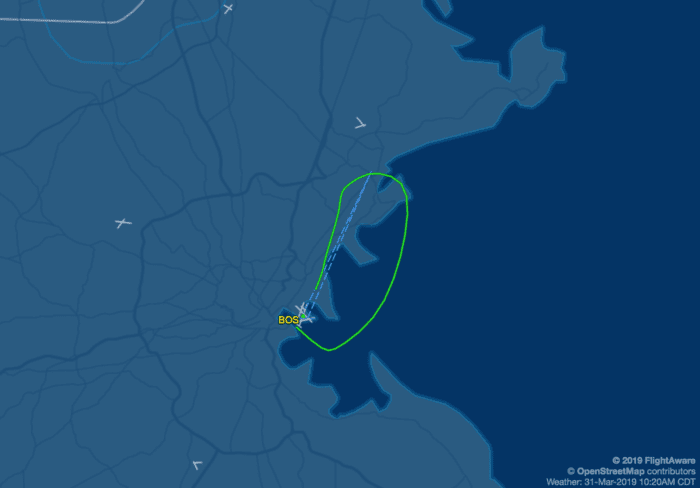 For the safety of the passengers and crew, the pilots decided to return to Boston and they landed safely again 11 minutes after takeoff. The aircraft was able to reach an altitude of 4,000 feet before making an emergency landing. Thankfully, no passenger injuries were reported. Passengers were accommodated on an alternate E190 which took them to LaGuardia. Birdstrikes are most likely to happen during takeoff and landing when an aircraft is low enough to the ground to come in contact with birds. These events can be dangerous for aircraft. Smaller aircraft, like the E190, are more likely to sustain greater damage from birdstrikes. Geese are some of the most notorious birds involved in birdstrikes. For instance, in 2009 one of the most infamous birdstrikes in history occurred. US Airways flight 1549 was flying from New York LaGuardia to Charlotte/Douglas. Minutes after takeoff, the aircraft collided with a flock of geese causing dual engine failure. 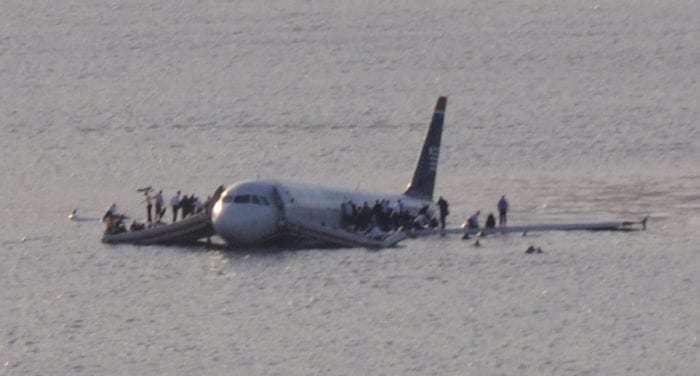 Miraculously, 155 passengers and crew survived after the plane was ditched into the Hudson River. Luckily, AA2163, the aircraft was able to successfully return to the airport. The E190 will have to undergo some maintenance before returning to service. American Airlines operates a very small fleet of Embraer E190 aircraft. These are the smallest planes in American’s fleet with a maximum capacity of 99 passengers. American Airlines’ E190 aircraft primarily operate their American Airlines Shuttle routes between New York, Boston, and Washington D.C. With this aircraft, American Airlines can operate almost hourly flights between New York and Boston and New York and D.C. As a result, American could increase their frequencies without exceeding demand. The E190 is the stretched derivative of Embraer’s E170 family of aircraft. American Airlines contracts regional carriers, like Compass Airlines, to operate these smaller aircraft on certain routes. American Airlines worked a deal out with their pilots’ union regarding the operation of regional aircraft. Currently, regional carriers can only operate regional jets with up to 76 passengers. Thus, mainline pilots and crew fly the E190 aircraft. Meanwhile, regional carriers fly the E170/175 aircraft. 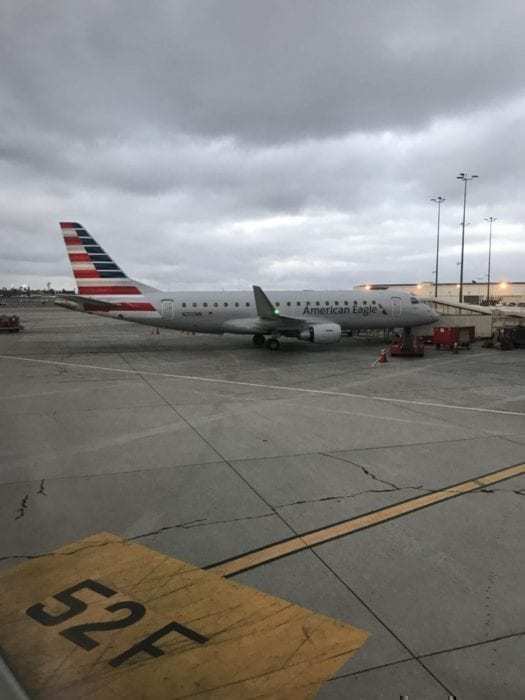 In order to reduce maintenance costs, American Airlines will retire all 20 of their E190 aircraft in 2019. To replace that lost capacity, American Airlines can schedule more American Eagle flights between city pairs. Perhaps, American can deploy smaller aircraft, like the A319, with slightly less frequency, between the city pairs. Potentially, a future replacement for the AA shuttle aircraft and some aging, smaller A319s, could be the A220. However, American Airlines does not have any A220 aircraft on order. This may change if rival carrier Delta Airlines proves their A220s to be incredibly successful. Simple Flying is glad to report AA2163 landed safely. As bird strikes can be incredibly serious, this was a crisis averted. Pilot training and skill in these situations are important. Have you ever been on a flight that experienced a birdstrike? Let us know in the comments below!